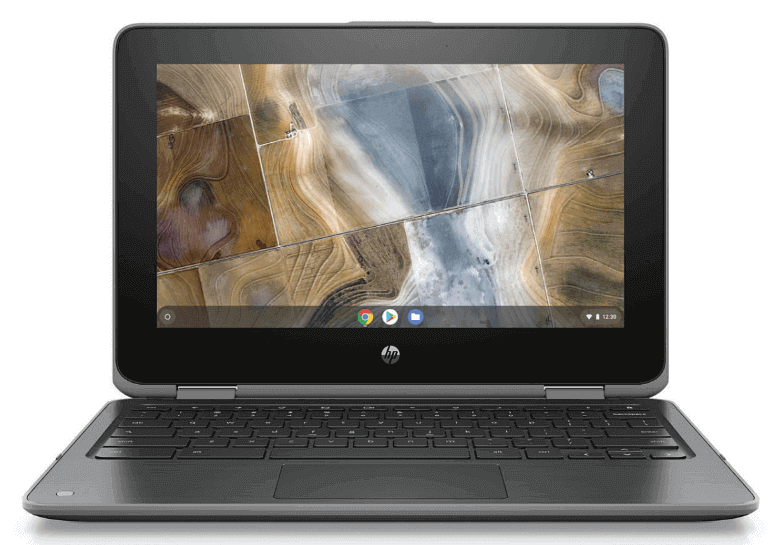 The HP Chromebook x360 11 G2 EE is a convertible Chromebook that’s a wonderful choice for schools. It has up to 11.5 hours of battery life, a 360-degree hinge, a 720p camera, Corning Gorilla Glass, a memory card reader, and a touchscreen display that measures 11.6 inches. 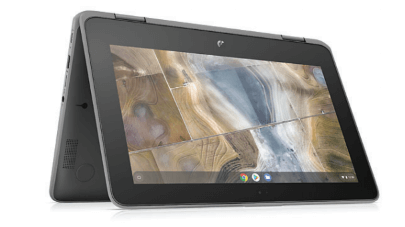 The Chromebook x360 11 G2 EE is powered by a 1.1 GHz Intel Celeron N4100 processor and 8 GB of RAM, so it can quickly open as many tabs as your project needs and promptly pull up your favorite programs. 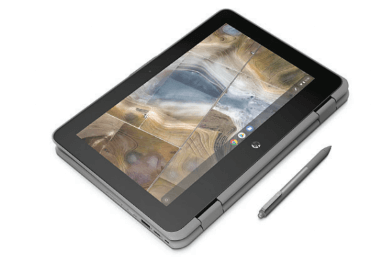 The Chromebook x360 has up to 64 GB of storage, so you can open applications practically instantly. 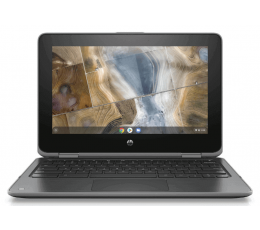 The HP Chromebook x360 11 G2 EE has a sharp 11.6 inch screen that works with a 1366 x 768 Intel UHD Graphics 600 controller. 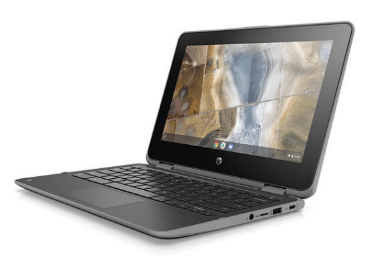 This HP Chromebook also comes with 1 USB 3.1 port and 2 USB 3.1 Type-C ports, so you’ll be able to charge external devices.